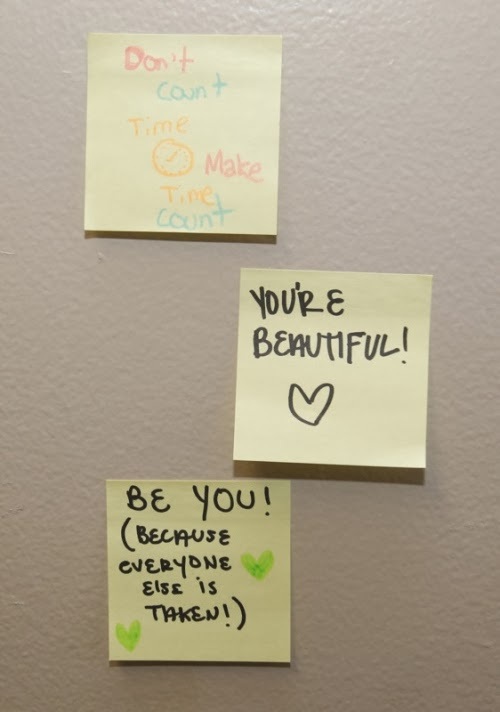 Positive Messages Stick! 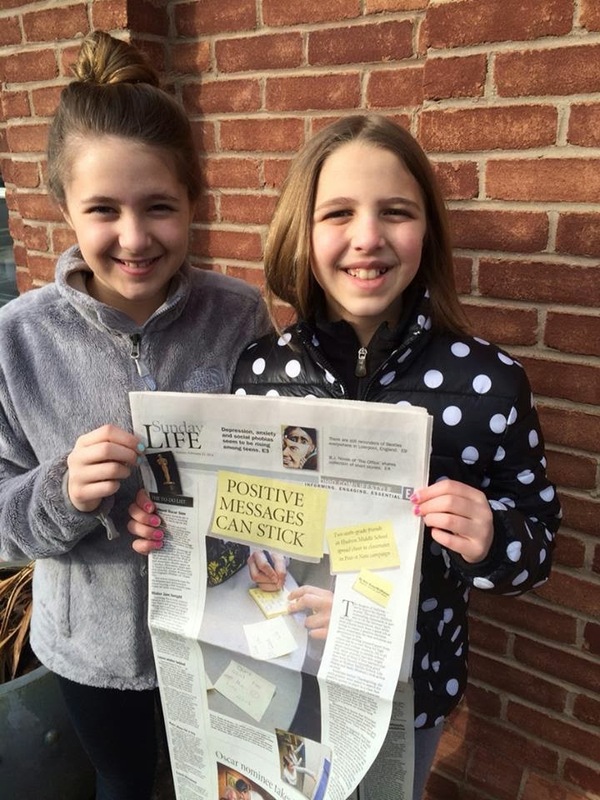 The following link takes you to an article that was in The Akron Beacon Journal this past Sunday about Lila and her friend Sadie who started an anonymous guerilla art campaign using post it notes with positive messages on them around Hudson Middle School that I spoke of in a prior blog post. I am fortunate enough to have Mary Beth Breckenridge (an awesome ABJ writer who has done stories about Homegirl) read my blog and ask fellow awesome writer Kim Mcmahan to do a story about the girls. What struck me most about what these girls are doing is that Kim said that she mostly does stories on bullying and that this was very heartwarming to hear of young ladies trying to make a positive difference. We could not be more proud of both our daughters and this is one of the best things that has ever come from me doing this blog. Thank YOU ALL for allowing me to share! 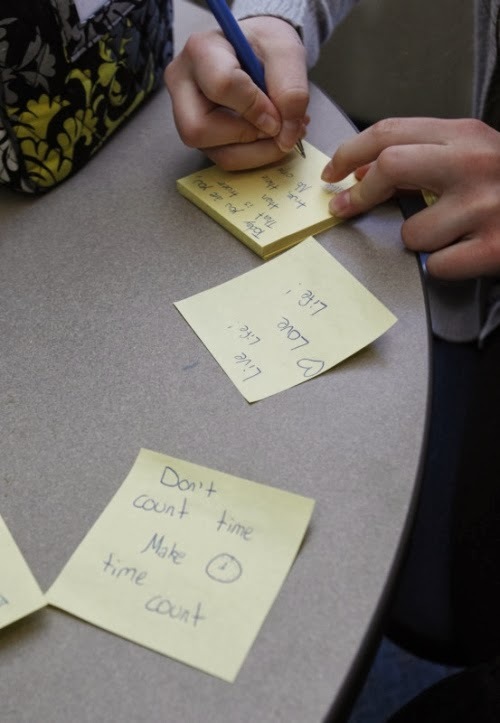 Super article! Fabulous young ladies who can think of others. Definitely leaders in this world. We can all learn a lesson from them, no matter our age.